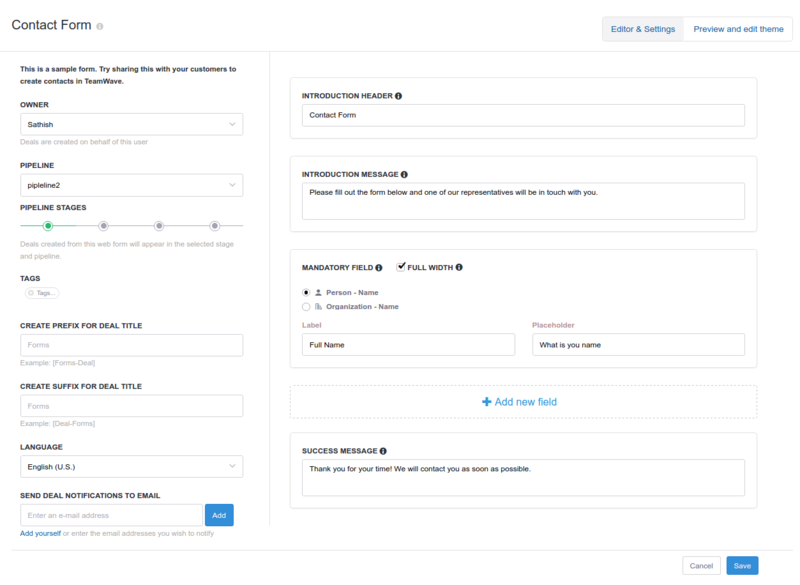 TeamWave's Web Forms give you multiple options to generate quality leads. The forms are intuitive and require just a few clicks, meaning you’ll be able to get up and running without the hassle. Every-time a prospect submits information via the form - all information will be saved as a Deal with either a Contact or an organisation OR both. You can choose which fields you want to ask your customers - like Mobile Number, Email etc. You will be able to select fields from custom fields created in your TeamWave account and can completely customise your form’s design with colours and fonts. 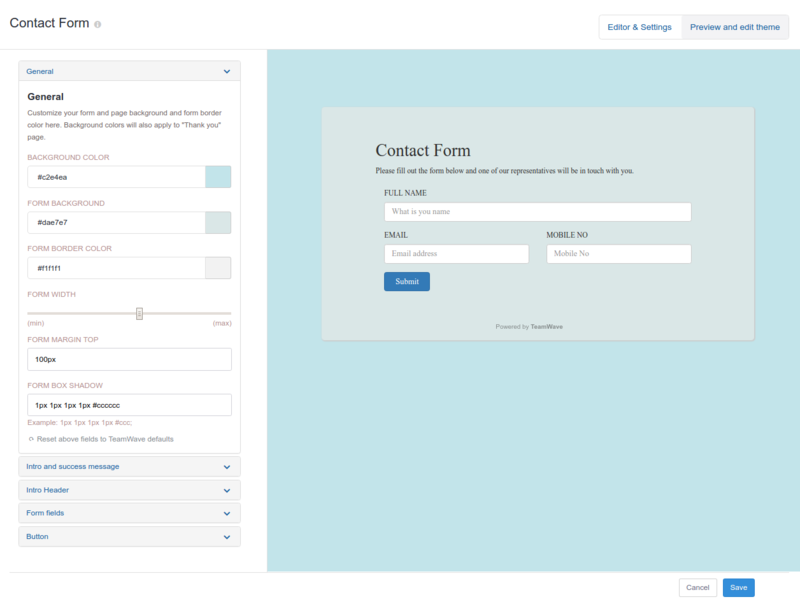 Forms will also allow you to add email addresses to be notified when a form is submitted. See How to create TeamWave Forms. You can create Forms from Forms tabs in CRM Module.